Acknowledgements. Introduction. 1. 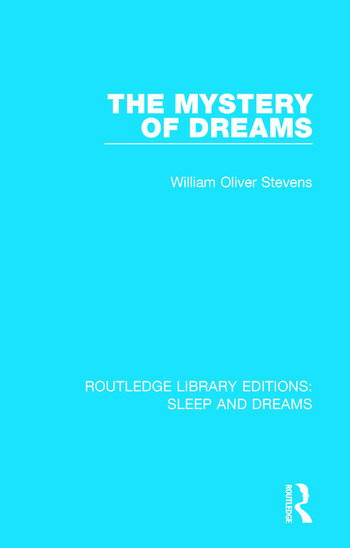 The Dream in Literature 2. Symbolism in Dreams 3. The Solution of a Problem 4. Telepathic Dreams 5. Clairvoyant Dreams 6. Warning and Prophetic 7. Warning and Prophetic Continued 8. Borderland Dreams 9. Concurrent and Reciprocal 10. Miscellaneous. Conclusion. Index.